The Master of Arts in Education, Leadership and Change program prepares progressive leaders for action at all levels in schools, as well as other nonprofit and for-profit educational organizations and community-based work, to understand and then respond justly to the cultural issues that demand change in our professional and civic lives. Candidates gain authority on: Systems thinking and analysis, change-based organizing, leadership as mission-relevant advocacy, participatory action research, how to draft fundable grant projects, and the ways in which critical literacy can advance personal success and social sustainability. Click to learn more. The Higher Education and Organizational Change (HEOC) Division is committed to advancing the scholarship, research, and practice of higher education and organizational transformation in the United States and abroad. HEOC represents the School’s commitment to excellence, equity, and social justice within higher education. In the M.A. and Ph.D. programs, students gain an understanding of the historical, political, social, and philosophical elements that have shaped and continue to affect higher education. They also count with the resources and ongoing research of the Higher Education Research Institute (HERI). Click to learn more. The purpose of the Principal Leadership Institute (PLI) is to recruit, train, and support a diverse group of individuals committed to the principles of academic excellence, equity, and integrity as a way to maximize achievement and opportunity for students in urban schools. 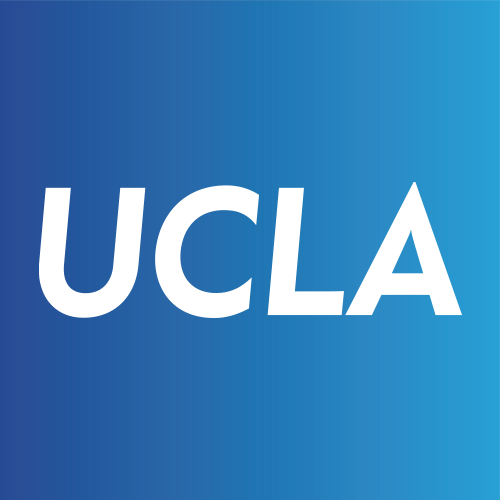 The Principal Leadership Institute at UCLA has designed a rigorous 15 month program aligned with the California Administrative Professional Expectations (CAPEs) that will prepare the next generation of urban school leaders. The program grants a Master’s degree and completion of the courses required for the California Tier 1 Administrative Credential. The program is designed to attract outstanding educators who have administrative interests and recognized potential. Click to learn more. The Urban Learning Program is an integrated (elementary subject matter) undergraduate major for students wishing to earn a bachelor’s degree and teaching credential concurrently, and to be prepared to teach in the diverse schools of urban Los Angeles. Teaching in an urban environment presents distinct challenges such as transience, overcrowding, shortages of materials, as well as opportunities that include the blending of cultures, artistic resources, and current technology. Click to learn more. Education is evolving rapidly. Whether participants ultimately seek leadership roles in schools, colleges, universities, government agencies, or other organizations, CSUN’s fully online Master of Arts in Educational Administration puts in their hands the knowledge and skills to advance their careers, and to thrive in today’s dynamic environment. Click to learn more. LMU’s innovative MA in Educational Studies program offers you the opportunity to design a tailored, personalized MA curriculum that reflects your personal and professional goals. In this program, you take 30 units of coursework: 4 core courses (12 units), and 6 elective courses (18 units) selected in consultation with your academic advisor. Because you can choose your electives from any of the School of Education’s available courses, this program offers you maximum flexibility in designing your study plan, and allows you to center your coursework around your personal goals and professional objectives. This program does not lead to a California teaching credential, and as such is not the best program for those who plan to work as teachers in the California K-12 public school system. Click to learn more. The Doctorate in Educational Leadership for Social Justice is an innovative 3-year program whose vision is a better and more socially just future for PK-12 schools and other educational and community settings. Our Ed.D. program is designed to provide experienced educators and community leaders with the tools, theories, and experiences needed to succeed in transforming educational settings into inclusive and equitable learning environments. Combining theory with practice, the curriculum provides candidates with a better understanding of the complex issues impacting education and student achievement, and prepares graduates as change agents. Click to learn more. 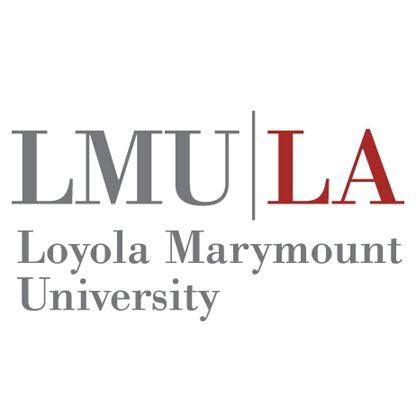 Loyola Marymount University is a recognized leader in the field of bilingual education. Our innovative programs are designed to serve those who strive to be professional, responsible, and socially aware educators prepared to succeed in culturally and linguistically diverse school settings. Our programs provide a solid groundwork in research-based best practices and prepare you to serve as leaders and advocates for equity and excellence in education. Our candidates benefit from comprehensive support for completing the academic and administrative requirements needed to obtain a California Teaching Credential. 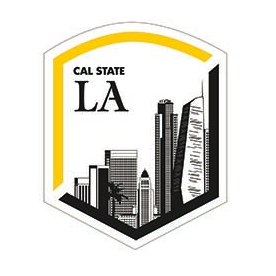 All of our credential programs are authorized by the state of California, as well as accredited by NCATE. Prospective bilingual teachers can take our 39-unit curriculum to earn a combined California SB 2042 Preliminary Teaching Credential, MA in Bilingual Education, and BCLAD authorization in either Spanish or Mandarin. Depending on the level you intend to teach, you can specialize in elementary or secondary education. Click to learn more. LMU’s Special Education program offers you several crucial benefits. With a rigorous curriculum that bridges theory with practice, LMU prepares you to be not just a teacher, but also a leader and advocate for your students. Our program is authorized by the state of California, and is also NCATE accredited. Classes are taught entirely by our distinguished faculty, all of whom have significant teaching and research experience in Special Education. To accommodate your schedule, classes are held in the late afternoon or evening, and several classes are offered as online/face-to-face hybrid courses. Class sizes are kept small, ensuring that you receive individual attention and develop close relationships with your cohort as well as with your professors. Click to learn more. The Doctor of Education (EdD) in Educational Leadership is a three year degree program designed for working professionals who aspire to be educational leaders. Students strengthen their skills for leading groups in high-performing schools, districts, universities, and other organizations and connecting relevant research with practice. Candidates for this program must have earned a master’s degree and have at least three to five years of work experience in a related field. Click to learn more. Pacific Oaks College’s M.A. in Education prepares students to take the next step in their professional journey by combining advanced study in Education theory and practice with the academic requirements for California State Teaching Credentials. Our Education master’s program is designed to build on the foundation that students bring with them to the classroom and to enhance the knowledge and skills they have acquired at the undergraduate level and/or through their prior professional experience. Click to learn more. Designed for educational leaders from around the globe who serve and/or aspire to serve in dynamic leadership roles at school sites, district and county offices of education, colleges and universities, and educational businesses in the public and private sectors. Its 60/40 hybrid learning format engages students in both face-to-face and online learning environments. Students meet in face-to-face weekend sessions nine times throughout the year and a few days each summer for two years. Weekend and summer sessions are held at the West Los Angeles Graduate Campus. Click to learn more. Our liberal arts major provides a cross-disciplinary academic degree for students interested in cultivating a comprehensive understanding of the liberal arts or pursuing a Multiple Subject Teaching Credential. Students choose one of 14 unique concentrations from within seven overarching disciplines. Click to learn more.